Likewise the clarification in Phil 4:13 avoids a common misunderstanding. Paul does not claim an unqualified ability to do absolutely anything. Rather, he anaphorically refers to what he has just discussed in the context: being content in all circumstances. I happen to like the new edition’s rendering much much better! 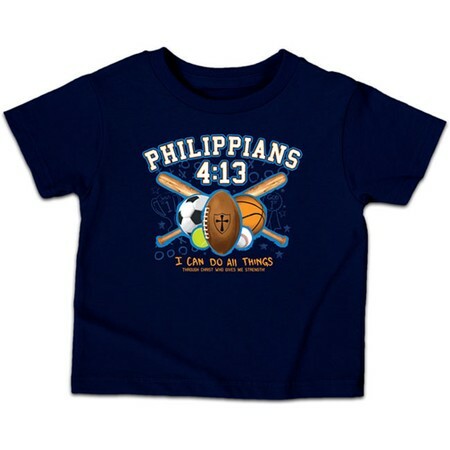 Perhaps we will see fewer bad Christian T-Shirts (yes, I know those who produce and buy these are well-intentioned) like the one pictured here that suggest Paul’s words in Phil 4:13 have something to do with success in sports!